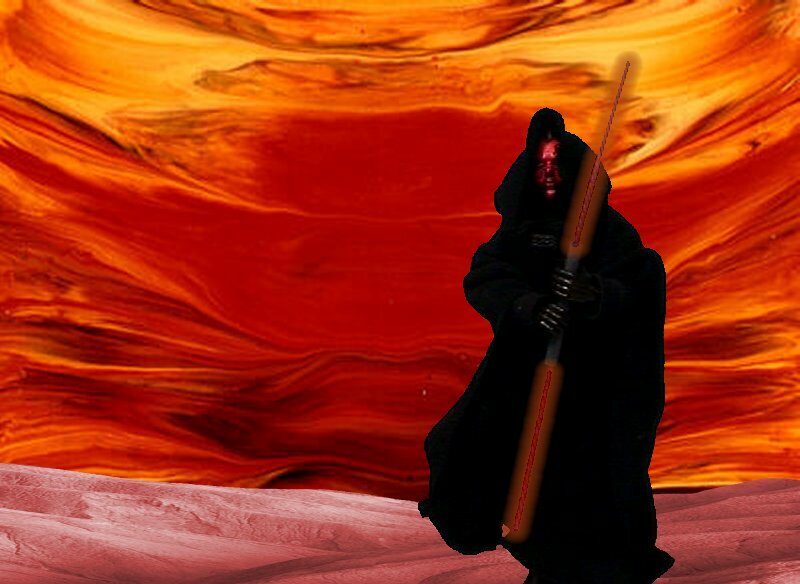 The New Apprentice Sith Lord: Darth Maul! 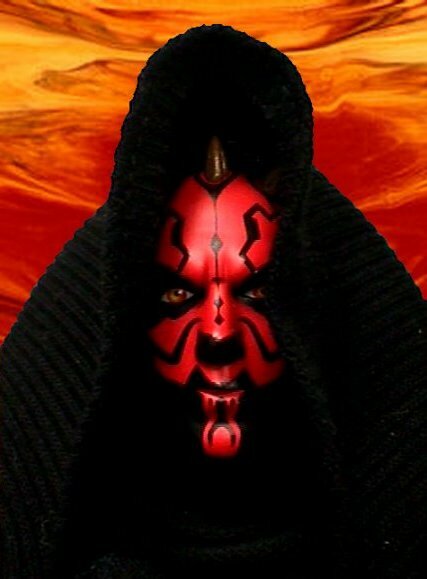 This dark Sith Lord fairly seethes with hatred for the Jedi. He knows, though, that the days of the Sith are returning. And he awaits his first trial against a true Jedi. 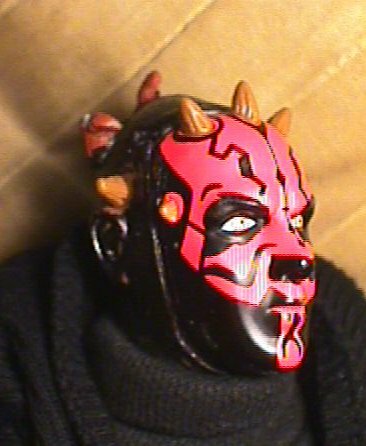 This is the face from a Darth Maul Wrist Watch, on the body of an AA "Ultimate Soldier" figuer. 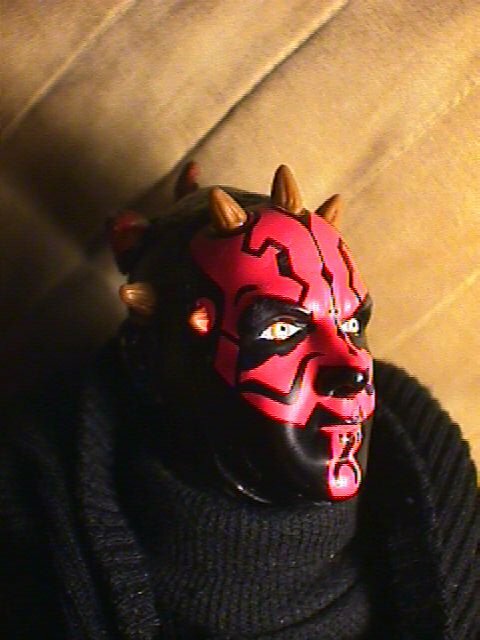 I cut off his face, and the little swatch of hair, and superglued the watch "Face" onto the head. I added head-thorns just in front of the ears, and then filled in the rest of the head with Magic-Sculpt, and sculpted more thorns. The head and hands were then painted black. 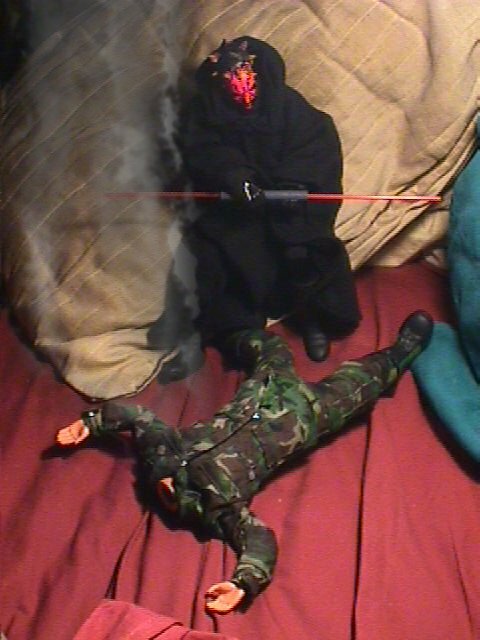 Maul is wearing boots from Grand Moff tarkin, black tights from a Pepsi Generation Next Girl, a Black GI Joe turtleneck, and Emporer Palpatine's outer robe. His lightsabre si made of a length of Ball-Point Pen with two cocktail straws.